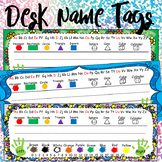 Add some color to your classroom with these multi-colored polka-dotted name tags. 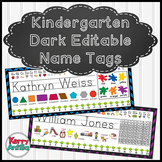 For best results, trim, add name, and laminate! 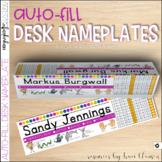 Desk Name Tags with Letters, Numbers 0-20, Shapes, Colors, Hundreds Board! 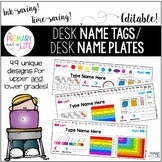 Desk Name Tag Super Pack! 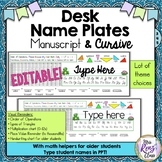 Styles include chevron, polka dots, and more! 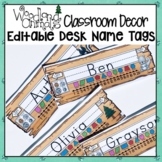 This is a simple desk name tag GREAT for Pre-K, Kindergarten, and First Grade! 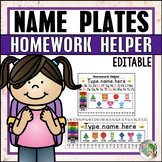 Included on the name tags are: -Uppercase and Lowercase alphabet -Line for name -Left/Right hands -Color words -Shapes (square, circle, triangle, rectangle, hexagon, trapezoid, rhombus) -Number line 0 - 20 Enjoy! 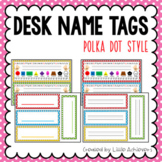 Included in this pack are polka dot editable desk name tags (4 colors). 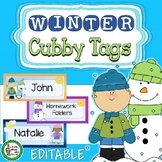 Please check the preview to see what is included. Dimensions: 1) 3.6x9.7 in. 2) 2.3x6.7 in. 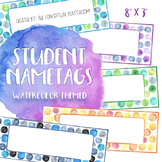 These name tags are also included in Classroom Materials Thank you! 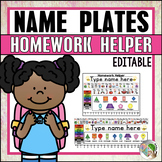 These nameplates include the alphabet, numbers 0-20, basic shapes, color words, and a 100 chart with a cute owl theme! Enjoy and please leave a comment!